I've been creating new videos for my YouTube channel. 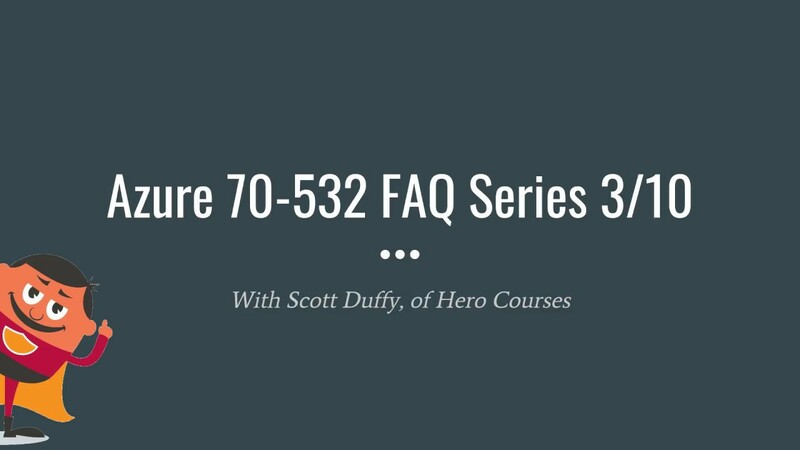 Here's a playlist of frequently asked questions that I put together for the Microsoft Azure 70-532 exam. If it's something you're interested in, please have a look. And don't forget to subscribe.